What is an Occupational Advisory Committee? This guide is designed for the Occupational Advisory Committees at both secondary (comprehensive high schools and career and technical schools) and postsecondary (community colleges, technical institutes and other college and universities) levels. It is intended for use by new and existing committees, providing suggestions on how an occupational advisory committee can be organized and maintained to function effectively. The most important ingredient for success; however, is a willingness and commitment on the part of the school’s/college’s administration, teachers and the advisory committee members to have an effective committee. The main purpose of an occupational advisory committee is to strengthen the career and technical education program by making recommendations for program improvement and providing technical assistance to assure the most up-to-date curriculum content and appropriate applications of technology. Advisory committees are a vital link between the career and technical education program and business and industry. In addition to state requirements to establish advisory committees, career and technical administrators, teachers and citizens recognize the value of community participation in the discussion of career and technical education issues. Advisory committees assist in assuring the relevance of the career and technical education program to the community and increase public awareness of the program. Committee members representing business, industry, labor and the general public bring a unique perspective to education and training programs. They provide a viewpoint which is invaluable to the career and technical education program. It must be emphasized that advisory committees serve an advisory capacity only. They do not have administrative or governing authority. Nevertheless, their work is important to the effective operation of the career and technical education program. Career and technical education programs that have a close association and function in cooperation with an advisory committee are usually more successful than those which do not have such an association. (c) An occupational advisory committee shall be established for each vocational-technical education program or cluster of related programs offered by a school district or AVTS. The committee shall be appointed by the board of directors, and a majority of the members of the committee shall be employees and employers in the occupation for which training is provided. The committee shall meet at least twice each year to advise the board, administration and staff on curriculum, equipment, instructional materials, safety requirement, program evaluation and other related matters and to verify that the programs meet industry standards and, if appropriate, licensing board criteria and that they prepare students with occupation related competencies. The occupational advisory committee as set forth in § 4.33(c) (relating to advisory committees) shall also include representatives authorized by the workforce investment board, civic organizations and higher education institutions. A number of educators have spoken with the BCTE staff person who serves as your re-approver and voiced concern over the Occupational Advisory Committee membership. PDE has researched the regulation and has finalized options a school can follow. PDE encourages OACs to include representatives of Civic Organizations, WDB, and post-secondary and have decided that Schools will have three options to choose from to meet the regulations as stated below. Each OAC will have a representative from the Post-secondary school, the WDB and the civic organization identified by name and organization/institution, documentation would be agenda and minutes with a sign-in page. The OAC members will be authorized separately by each organization, WDB, Post-secondary institution, and the civic organization with documentation/letters of support provided in program binders for the Approved Program Evaluation. The OAC members are authorized by the LAC and appointed by the Board with documentation provided in binders for the Approved Program Evaluation. Choice 1: Enter names and organization of rep from the WDB, Civic Organization and Post-secondary. Choice 3: OAC members will be authorized by the LAC and documented in the minutes. This committee provides overall direction for the entire career and technical education program of a school district, area vocational-technical school, career and technical center or post-secondary institution. This committee advises on the whole range of activities and issues involving the career and technical education program, provides advice on appropriate program offerings and support services and, when appropriate, provides assistance and support to the institution. 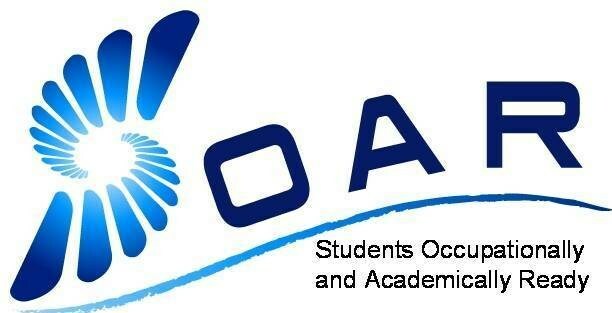 O.A.C.s are established for each career technical education program or cluster of related programs offered by a school district or AVTS. The majority of the members of the committee shall be employees and employers in the occupation for which training is provided. The committee advises the board, administration and staff on curriculum, equipment, instructional materials, safety requirement, program evaluation and other related matters and to verify that the programs meet industry standards. Is comprised of specified members as defined in the Carl D. Perkins Vocational and Technical Education Act of 2006. This committee is a requirement for local planning and certain competitive funding areas authorized in the Perkins legislation. Develop the schools strategic plans through active participation by parents, students, school directors, teachers, school administrators, other school personnel, business and other community representatives. The committee serves a specific function in the strategic planning process as required by Section 4.13 (Strategic Plans) of Chapter 4 regulations of the Pennsylvania State Board of Education. It is recommended these committees be established and operated to complement and support one another. For example, the participatory planning committee and the strategic planning committee can be the same committee, if all guidelines for membership requirements are met.